I’m sure I saw Toulouse Lautrec leaving a farm cafe on a push bike near Ness Gardens last week. Interesting chap Toulouse. He couldn’t ride a bike due to his disabilities, but he became obsessed with spectating at the boom sport of the 1890s – cycle racing. I may come back to Toulouse later. I’ll see where the road takes me and if I can tie him into my appearance in a book about ordinary lives. Matt and I have met up, eaten toast, had tea and decided to go ahead on our album of duets. There’s been such a positive interest; thing is, we’ve been a combination of a bit lazy (me) and a very busy (Matt) – who’s recently become a dad and released his new album “Late Night Lute”. Its been reviewed in the BBC Music Magazine….the first line of the review in BBC Music says “Guaranteed not to wake your neighbours!”….. So, our joint album will be done – we are both keen and love the combined sound of our instruments….just need to get our fingers out. 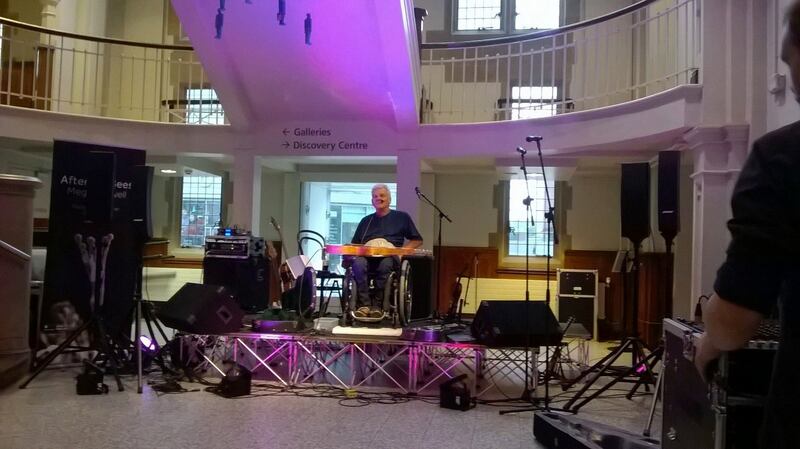 Despite being August, its a time of enforced quiet at Slideytowers, but since I last wrote an update, I’ve had some lovely gigging highlights….Less actual gigs than past years, (due to my lack of marketing and not having an agent), but of a better quality. These have included performing at the Royal Court Theatre in London for Liberty’s Annual bash; where the three songs with soprano Victoria Oruwari went down really well. I got to meet Vanessa Redgrave, totally unassuming and warm as toast – “Hello, I’m Vanessa” she said, like she’d just popped in for a pint of milk and a loaf. In November, I thoroughly enjoyed playing alongside Clive Carroll at my local folk club, who followed all my best licks with ease…(swine) .. and in February this year I was back at The Bridgewater Hall in Manchester for their Guitar Weekend. 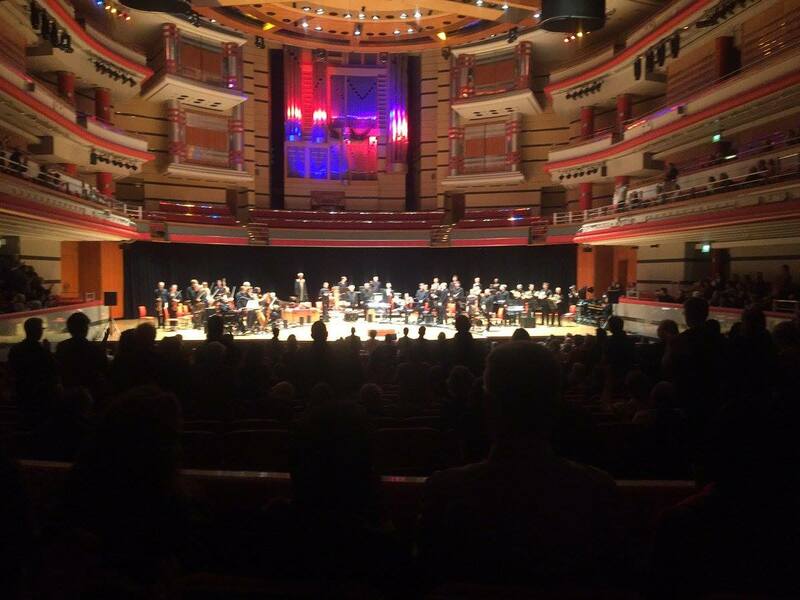 However my highlight of the year has got to be playing with the British Paraorchestra and the City of Birmingham Symphony Orchestra at the Birmingham Symphony Hall. I was fortunate enough to be asked to play an improvised solo in one of our joint pieces. Should the recording emerge, I’ll post it…everywhere..Its playing I’m proud of. We also re ignited the works written for the orchestra by Lloyd Coleman called Towards Harmony, which I adore. Good to see some friends in the audience, Dan and Abbie and Ian and Wendy McWee. Here’s a snap after our encore. Variety is the spice as they say….. 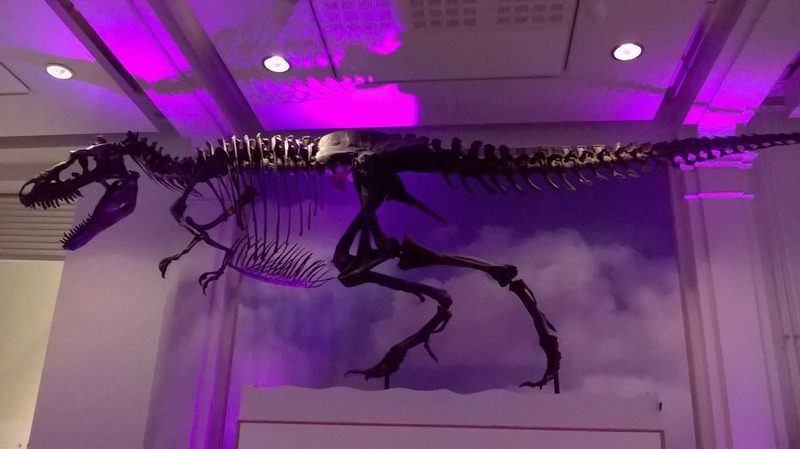 I also got to play at The Manchester Museum with dynosaurs….and the every popular “Merry Hell” (thanks to Les P)…. 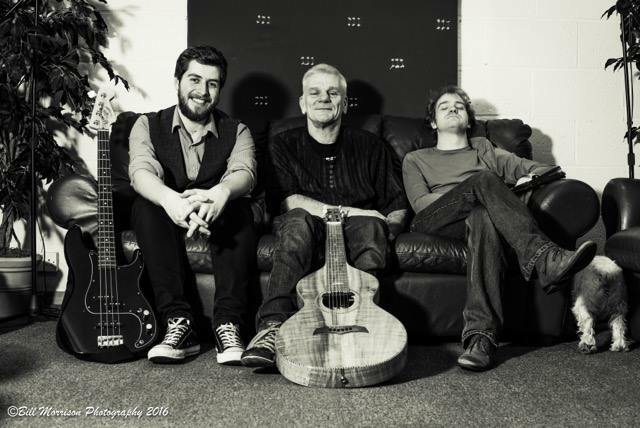 and so far….In Oswaldtwistle Arts Centre, in April. see my gig guide as I begin to sort a few more out! I wasn’t sure that I wanted to be in this book – so I asked myself why? (Here’s my answer) I’m just a bloke who had this spinal injury 43 years ago. I’m not a hero, I’m a musician; I work in an area where my disability is, for the most part, irrelevant. I’ve played guitar from the age of 7. Self-taught, as my family couldn’t afford lessons, I just adored learning and making music. The guitar was my constant companion in daily life. I hoped one day I’d be a musician. By the age17 I was a fairly accomplished finger style guitarist, a typical teenager, my first job, active in sport and taking risks. On the way to work one morning I was involved in a road accident and immediately became paralysed from the chest downwards from a spinal injury. However, I was alive and life went on and I. An experience like being re born, I commenced the rest of my life as a disabled person and started to get on with it. Eventually, another job, then University, learning to drive an adapted car, being active in sport, including the Paralympics (silver in Korea, 1988), it was always music I loved. That was then…. However, since 1999, I’ve been a professional lap slide guitarist, recording artist, singer/songwriter and lap slide guitar teacher. To achieve this has taken years of dedication; developing and maintaining a level of fitness, practice and self awareness. In the early days after my injury the loss of use in my hands was, for me, the most difficult thing to come to terms with. In the usual assessment of dexterity they are rubbish – a claw-like right hand and no movement in the left. But nowadays, I believe that movement and dexterity are different things. Shortly after hospital discharge, music was simply something I had to continue with. Back home, a guitar was adapted so that it could be played flat on my knee. A piece of tube placed on my left forefinger changed the pitch and I adapted regular picks to enable me to pluck the strings. I became determined no matter how difficult it seemed or how horrible it sounded. Perhaps on one out of ten attempts it sounded okay; then twice, then three times…we are talking years here. Whilst practising music (amongst other stuff), I worked full time in Social Work. Then, in 1999 I took early retirement and put some serious guitar time in! I recorded my first CD and became a professional self-employed musician. The rewards to me are amazing. To be known in the world as the musician I dreamed of being as a child despite being a tetraplegic…well, you get the picture. I perform Internationally and have gained acknowledgement and respect from my musical peers. Most people who hear me on the radio, buy tickets to see my concerts or buy a CD are unaware of my limitations; they like my music – job done! However – this very thing is so relevant – my disability forces me to be a more creative and resourceful musician. 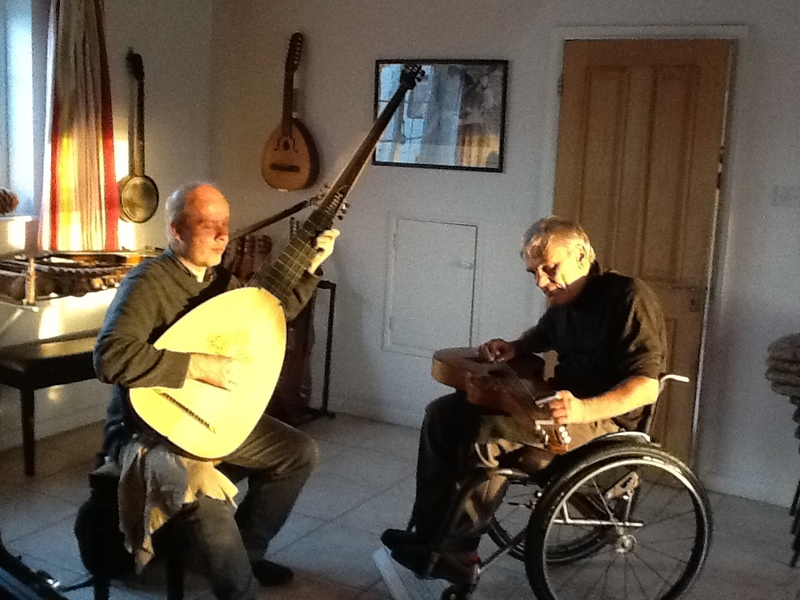 I think out of the box and, if anything, my disability strengthens my musicianship. When I play the guitar well, the experience feels emotional, sensual, technical, controlled yet spontaneous. Yet like all other artists I know, I’m still trying to improve, still listening and discovering new sounds and delving into the bottomless pit of being the best musician I can be, searching for the lost chord.